Reach thousands of students looking for accommodation in the same area as your property. 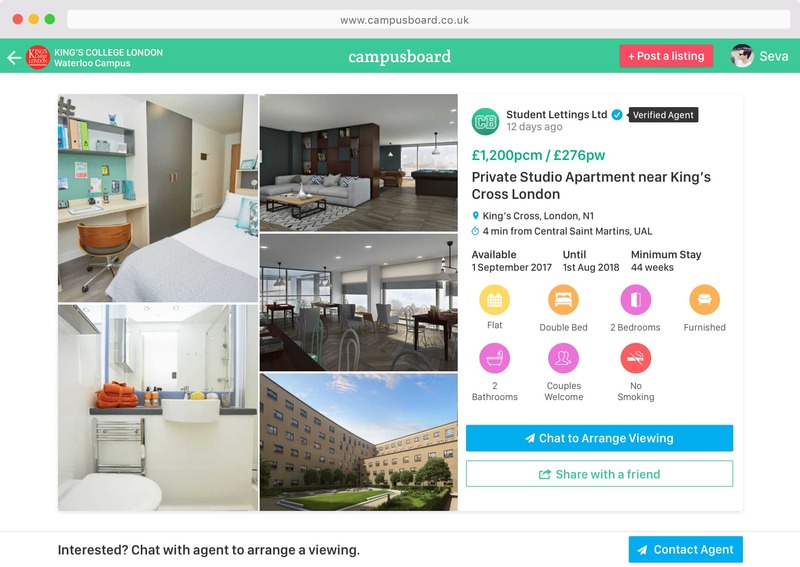 Thousands of verified university students visit our property platform each month in search of accommodation. 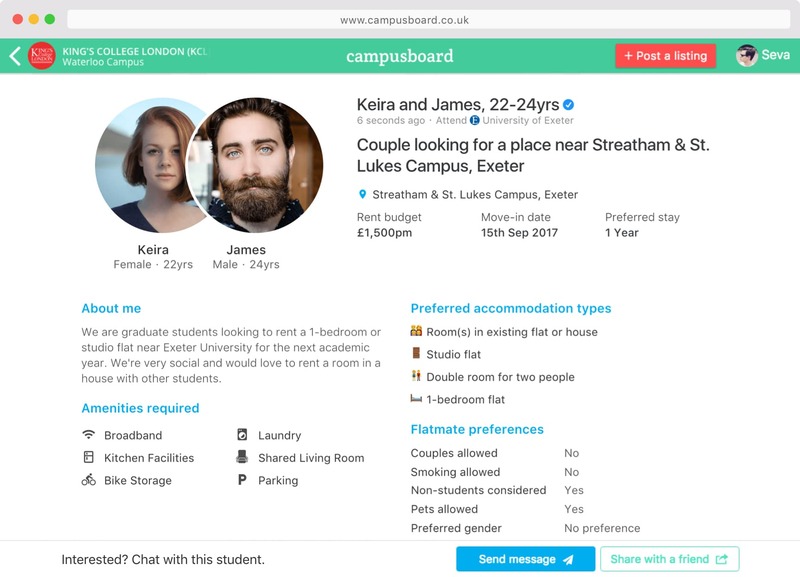 Campusboard creates a unique opportunity for letting agents, PBSAs and landlords to advertise their properties directly to these students. All listings posted on our website are not only grouped by city, but also by university campus. 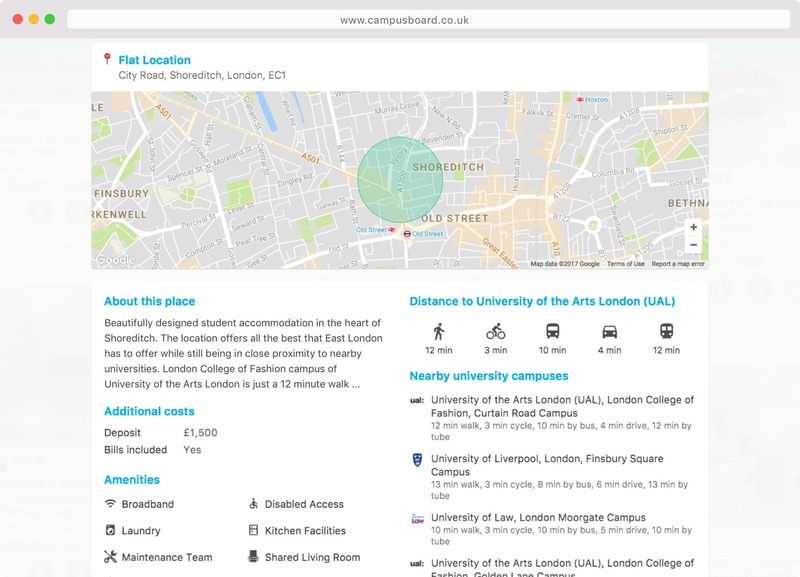 Knowing which university each student attends, we are able to present them with a personalised feed of properties in their city, sorted by proximity to their campus. Every student accommodation provider on our platform goes through a careful verification and quality control process to ensure the safest environment for our students. Advertise knowing that you are in a company of other superb accommodation providers. Whether you are a landlord with a handful of houses or a PBSA provider with a large portfolio of properties throughout the country, our support team is always here to assist you throughout the full cycle of renting out your property. Get your properties published and updated the same day. Rent out your properties to students faster at a competitive price. Get in touch with our Sales Team to discuss options that suit your portfolio of properties.